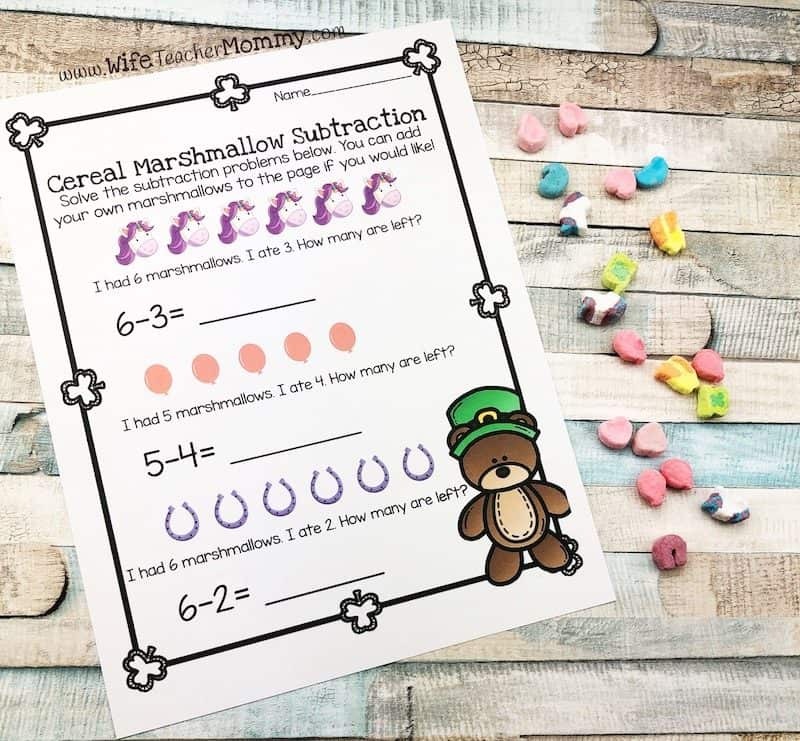 Your students will love these lucky cereal marshmallow Math & More activities. 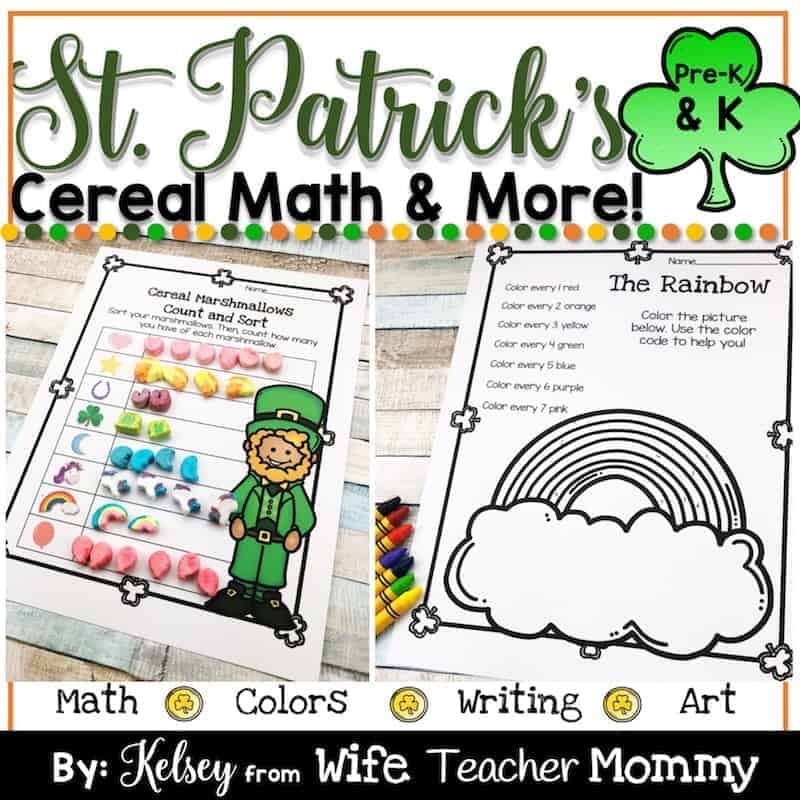 They are the perfect St. Patrick’s Day math activities for kindergarten, pre-k and preschool! 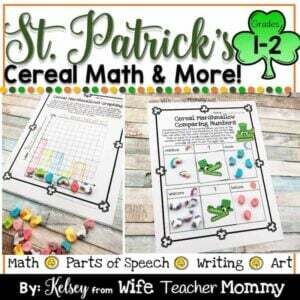 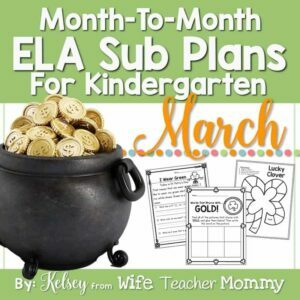 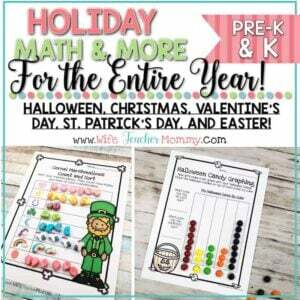 They can be to be used throughout the month of March, for whole group instruction or St. Patrick’s Day math centers. 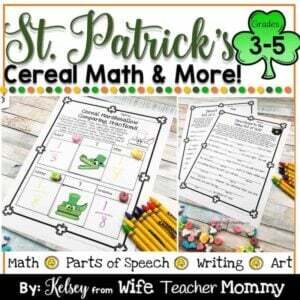 They would even work for a fun and educational St. Patrick’s Day party! 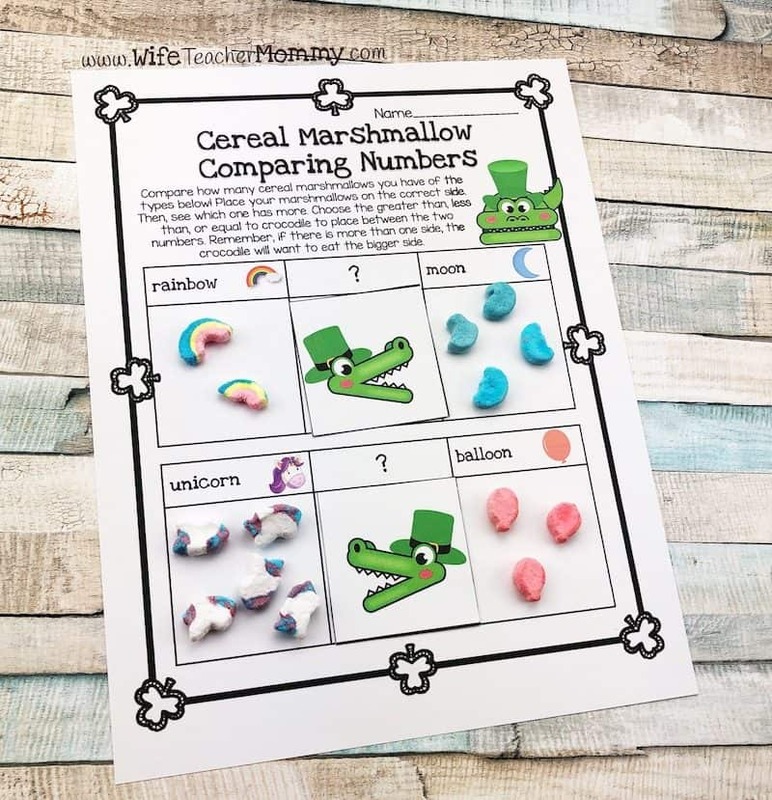 They are a fun and engaging way to get your students practicing their math, colors, writing, and art skills using cereal marshmallows from a popular name brand cereal. 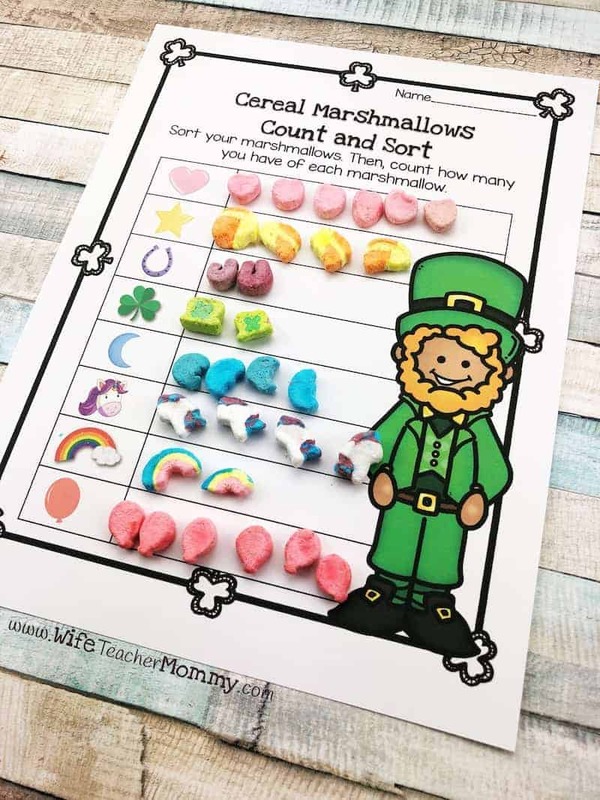 2 Color by Numbers using marshmallows!